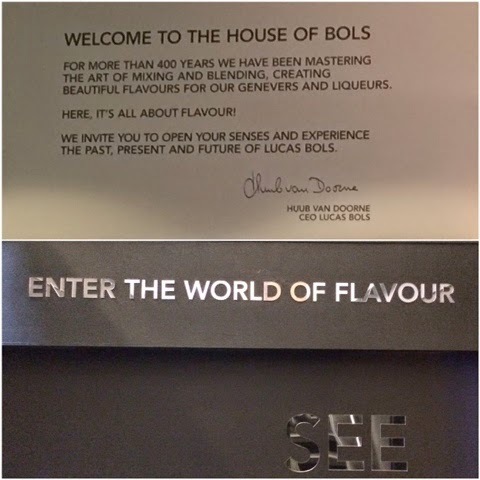 House of Bols - What's Katie Doing? 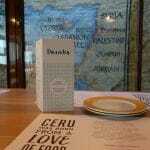 I was very excited to be in the home of genever whilst in Amsterdam. 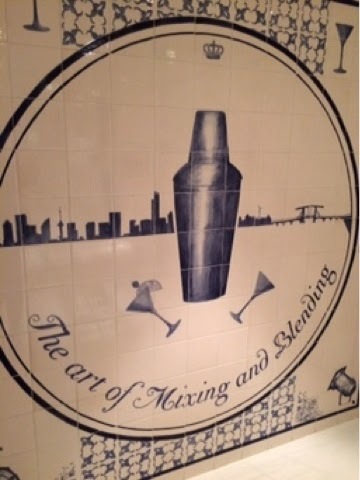 Genever is the precursor to gin so very important in Gin’s history, as we learnt the other week at the Martin Miller’s gin tasting. 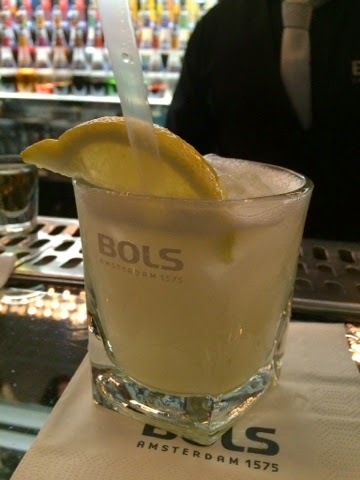 After our culture hit at the Rijskmuseum I managed to drag Tiva to the House of Bols on the premise that history followed by a tasting would be right up her street too! 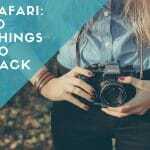 Top tip – buying tickets online saves you a euro or two, but make sure you can print them out! 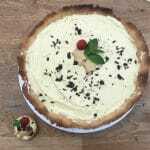 Entrance into the world of flavour! 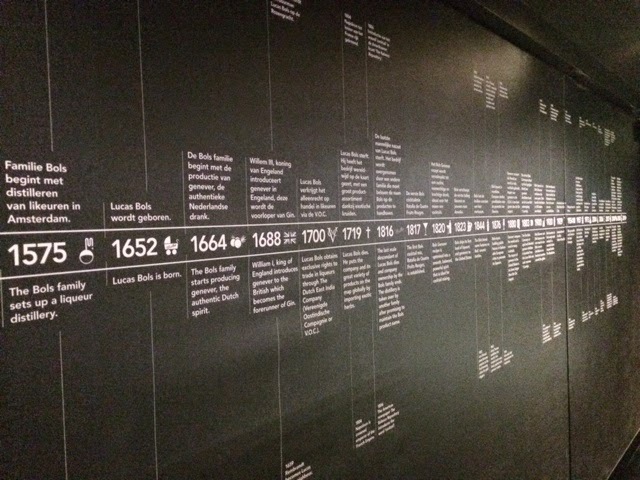 So we started off with the history part – including this long timeline, showing that Bols started making a liqueur in 1575. Before this they were a brewing family, in the now grand tradition of many a gin, they went into making a juniper liquor. 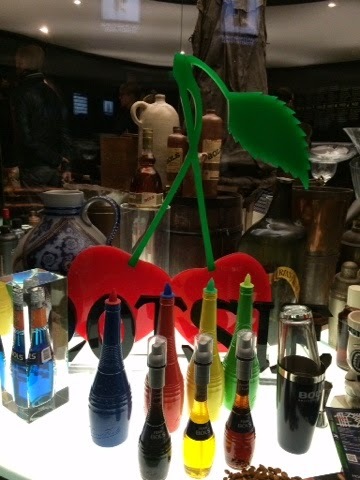 Some of the historic branding through the ages – you can see the traditional ceramic flasks behind the cherry stalk. 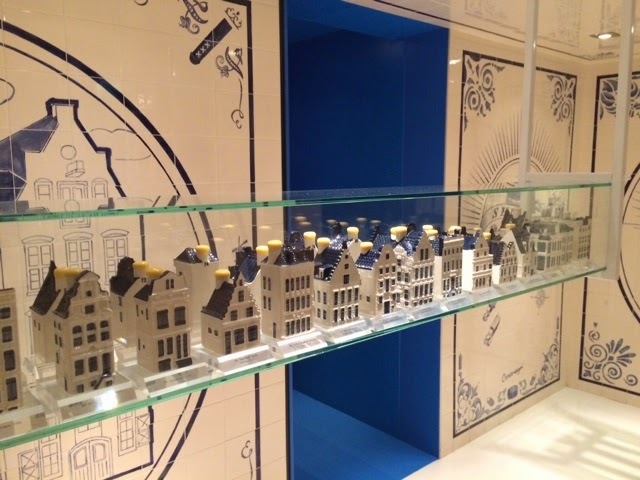 A combination of traditions – little ceramic houses full of genever! 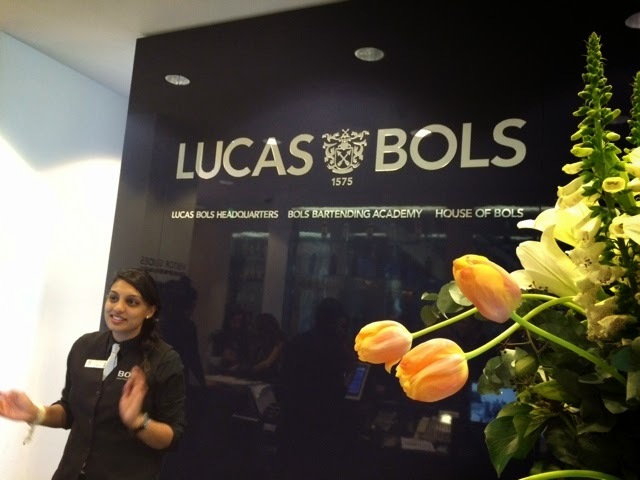 This was a collaboration with the Dutch airline KLM – oh to travel first class and get gifts!! 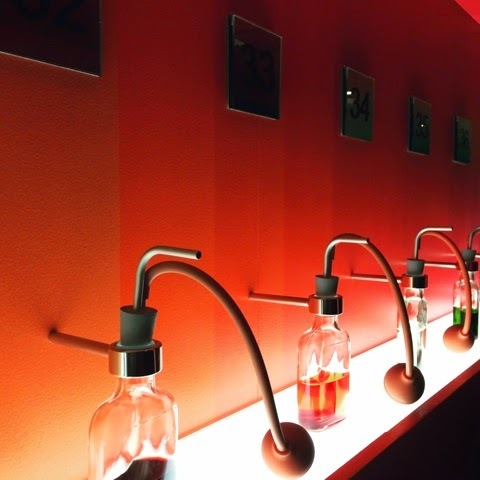 Next up was a long line of different flavours to smell – I think they managed to represent most of their liquor range here! 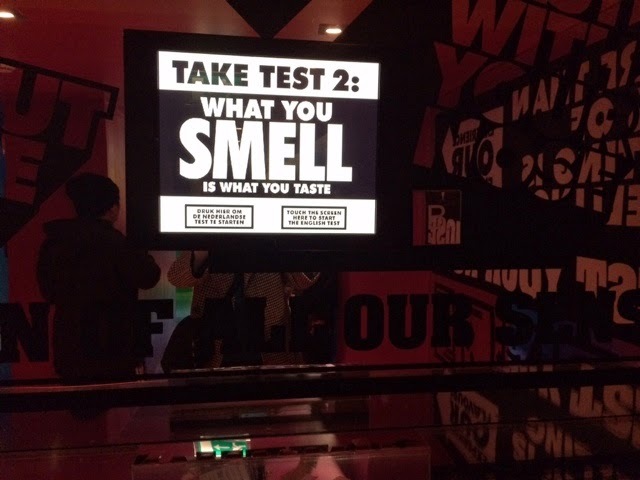 Again really tricky to guess the flavours. 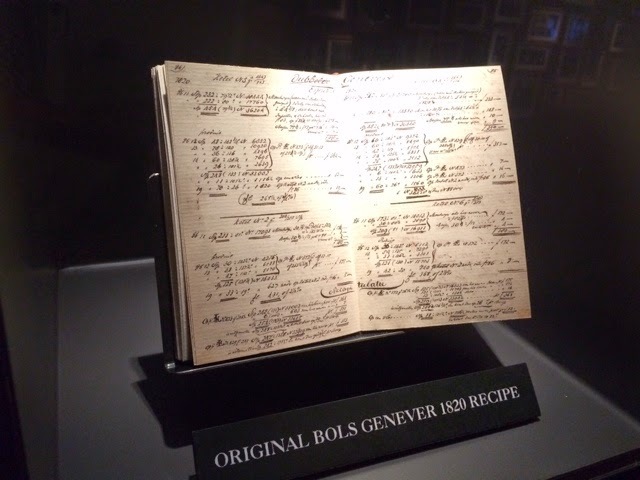 The orginal recipe book for the 1820’s blend genever – made for cocktails! 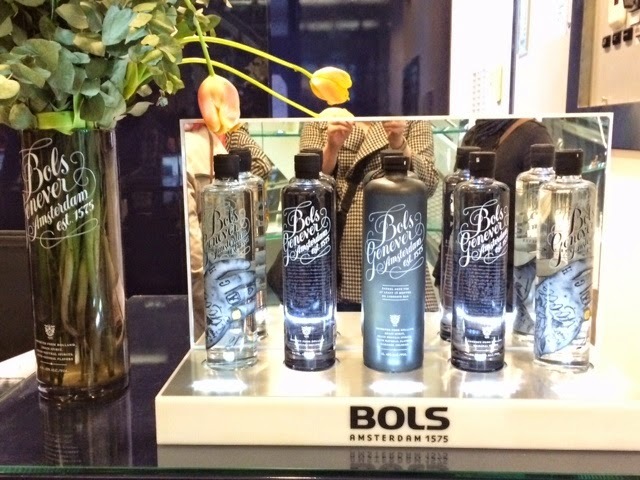 It’s a blend of malt wine, distilled from corn, rye and wheat, blended with juniper berries and other botanticals like gin. 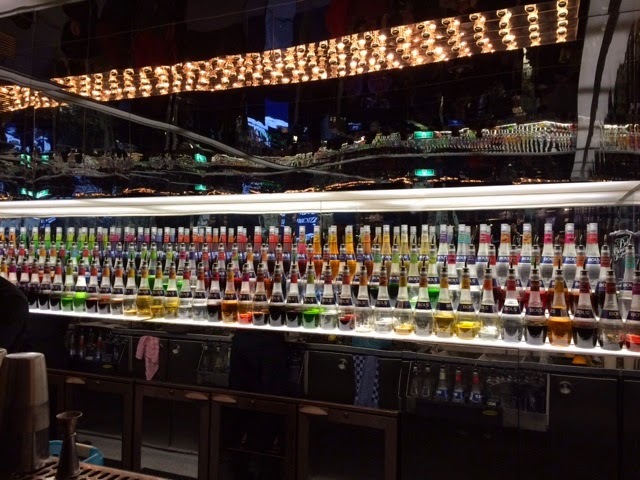 Wow wee what a back bar – all Bols genever or liqueurs! 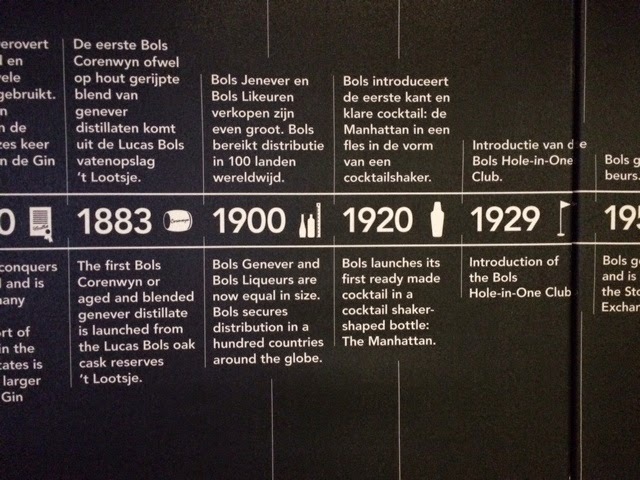 We ended up trying some of the traditional 1820’s genever and also the barrel aged one. 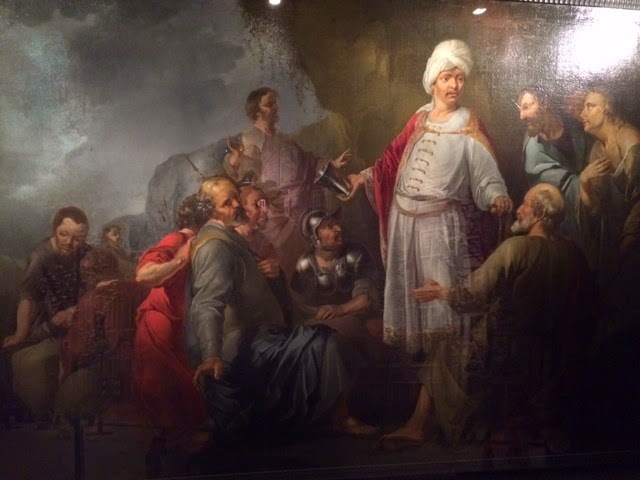 I can’t say that the traditional juniper flavoured malt liquor was my favourite thing… However I think we agreed that the aged one was a lot nicer – a smoother and more rounded flavour. 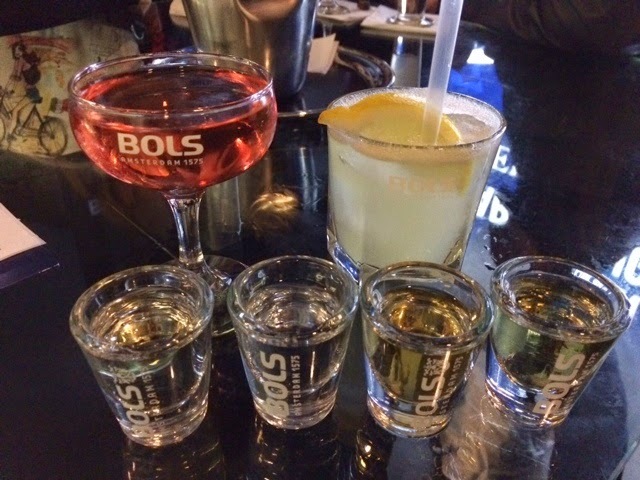 The cocktails were good – such a range to choose from that I went with a cocktail that was strong on the genever and didn’t appreciate it as much as Tiva’s more citrus heavy cocktail. 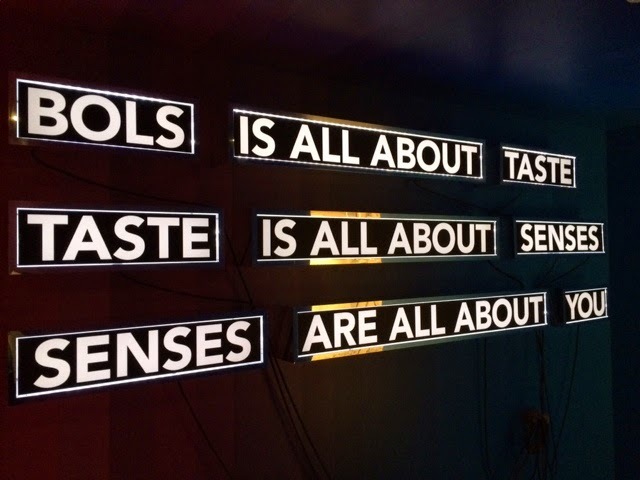 The flavour of the genever isn’t subtle! 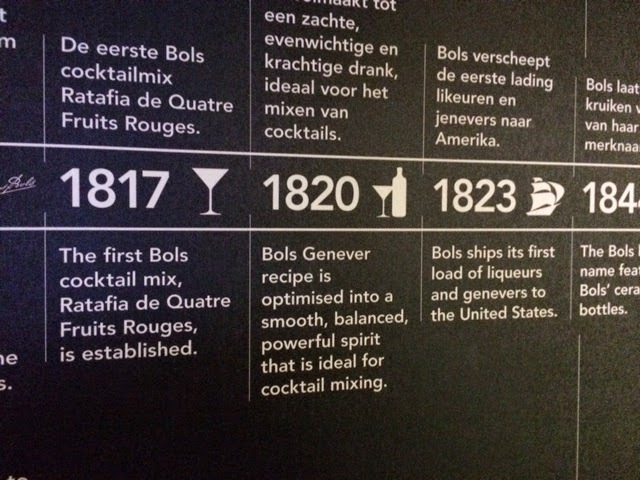 Whilst I don’t love genever I’m glad that it was made so that it could lead to my favourite drink = gin!